We have another author interview for you this week (our favourite kind of blog post) and this time, we had the exciting opportunity to talk to Luke Edison, author of the YA fantasy novel, Valcarion: Sacrifices, the first book in The Valcarion Series. You can read his full biography and contact info at the bottom of the post. Hi Luke, it’s great to have you on our blog. It’s always fascinating to talk to other writers about their writing process and we’re super excited to be talking to you about your YA fantasy series The Valcarion Series. First up, can you tell us a little bit about the series? What inspired you to write it? Sure! Well first of all, thank you so much for this opportunity. Networking and reaching other people who are passionate about storytelling is so valuable to me. The Valcarion Series is something that came about after floating around in my head as a conglomeration of short stories. As a kid, I loved adventure and, though I didn’t realize it at the time, I had a large imagination. I would daydream in class about what it would be like if I were a hero like Link from The Legend of Zelda games, or how I could merge existing Fantasy or Sci-Fi universes. After inventing my own characters and coming up with a few ideas that were basically movie scenes which I would play in my head, I decided at the age of 16 to sit down and string them all together. I actually tried a first draft of this story when I was about 12, but I kinda burned out and quit – I think the story and my personality needed a few years to mature. It probably also didn’t help that my first draft was hand-written (and embarrassingly illustrated) in a composition notebook! But as the years passed, it all came together! Heck, maybe someday I’ll be successful enough to sell that first draft as a collector’s item! Doesn’t hurt to aim high! Right, so we’ve ascertained that the majority of the novel was inspired purely by your imagination. Did you spend any time researching before you began writing it? You know, it’s interesting because as someone who primarily writes fiction, I don’t generally think a lot about “research”. But come to think of it, yeah, a lot of research and applied life experience goes into my books. I’ve always been a history buff, a fan of ancient epics, and I like to take in the details of experiences and stories around me. I suppose that by putting all of those pieces together, I hope to attain the goal of creating a believable but fantastic fictional world with Valcarion: Sacrifices. That’s something I think some writers and fans don’t understand in their books or screenplays; just because something takes place in a fantasy world with different rules of reality, that doesn’t mean you can entirely suspend logic and consistency. The story still has to make sense and play by the rules it establishes. That’s a pet peeve of mine. Hahahah. It’s a pet peeve of ours also! Creativity when writing is great, but sometimes people don’t understand that what they write still needs structure and believability, even within the context of the novel itself. In order to ensure we achieve this, we spend a lot of time outlining. How about you? Did you outline first, or jump straight in? If you outlined, how did you go about it? I’m kind of a mixed case of styles on this one. Since the story had been in my head for several years prior to pen meeting paper, I suppose you could say I had a mental outline and story arc, character development, all that. However, once I started writing, the majority of the content just flowed free of any sort of official outline. Once Sacrifices was written, though, I would keep paper next to my bed and write down notes and plot-points for the series. My best thinking seems to happen at night, and by the time I wake up in the morning I never get the idea quite right. Anyway, after writing down all of the series info I needed, I did make a big binder full of the blueprint for all three books which make up The Valcarion Series. Expanding that a little; could you talk us through your writing process – how did you get from beginning to final draft? Wow, getting from beginning to final draft is what tried my patience the most. As an eager 16 year old, I was ready to send my manuscript to a printer as soon as I finished writing. It only took me two weeks of constant writing to finish my initial draft, but then it took me several years of editing alongside content and grammatical editors in order to make my book polished and ready to go. And in there, there were some lessons for me. On one side of the coin, I would say that writers – especially young writers – need to be humble. Always seek outside opinions, constructive criticism, and be willing to learn and grow. On the other side of that coin, though, stick to your guns when you know something is right. Don’t change the heart and soul of your story, because if you stop believing in your story, it shows in your writing. Good advice. Is the final version of Valcarion: Sacrifices dramatically different to the first draft? If so, how and why did you change it? So this actually goes well with what I just said about the two flip sides of that writing coin – no, the final version is not very different than the original at all. As a matter of fact, I would say that the first and final versions tell the same story, but the final version is just better, cleaner, has a smoother flow and better descriptions of the same places and people who the first draft introduced. I think it was George Lucas who once said that the Star Wars characters are like his children, and while that may be a little extreme, I think that I get what he means. When the story is yours, and it is a part of you, you have to respect it. Even if looking back it isn’t the story you would write in the current day, that story is a part of who you were when you wrote it. I’m 25 now, and 16 year-old me told a much different story than 25 year-old me would, but I think that’s OK. I think that keeps my writing honest and pure, and hopefully it makes it more relatable to other teens. Interesting point – we hadn’t thought about it like that before! It’s been roughly ten years since you began your journey. During it, what aspect of fiction writing did you struggle the most with? My greatest struggle to date has been not getting ahead of myself in my writing. Sometimes, I tend to know where I want my story to go, but as a result, I get so frustrated with how slowly I put my ideas into words. It can lead to a lot of frustration and, in the long run, a lot of complacency and a loss of the love which should go into writing. That’s something that we struggle with also – sometimes it’s hard to enjoy the journey when you’re trying to get to the destination as quickly as possible. Now looking at the positives; what element did you enjoy the most? I absolutely love being able to make a story which is meant to manipulate certain emotions and immerse a reader in a setting. Being able to tap into the mind and emotions of fans is a huge thing for any entertainer, and writing certainly fits into that mould. I like to imagine how people would react to the story, and I kind of craft my plot around that. I want my books to read like a movie, and if they’re able to draw people in and make them feel like while they’re reading, they’re actually experiencing something, then that’s perfect! Exactly. Once the drafts are completed, it’s on to the dreaded editing! How did you go about editing? When tweaking and perfecting a novel, It can be so hard to know when it’s ‘finished’. How did you know when to stop? “The dreaded editing” is completely accurate. I sent my book off to two trusted content editors, and then had several people read and review it for me. That was basically just so that I knew it made sense to other people – it was clear and I hadn’t fooled myself into thinking that the story had a good tempo to it. The changes I made after those reviews were minimal, but they helped a lot in areas of description and imagery. It was a phase which required a lot of patience because as a young guy with little cash and big dreams, I needed to work around other people’s schedules. That was hard. Then, I sent my book to a grammatical editor. She went through, corrected any spelling inconsistencies or misplaced punctuation, and at that point, I was pretty happy with the storyline. I had constructed the overall outline, and I knew that I didn’t want to change the overarching feel of Valcarion‘s world anymore – I just wanted to make sure it was as professional and clean as possible. That’s refreshing to hear as a lot of writers don’t like to hear constructive comments, let alone act on them! Aside from this series, do you have any other projects on the go? Oh yeah! I have a few projects in the works – mostly Fantasy or Sci-Fi, but I also do have an interest in historical and political commentary. I have a few irons in the fire, I just need time to crank them out and get them published! I have two more futuristic Sci-Fi stories which are all mapped out – I’m really excited for them, actually. They’re more gritty and mature, and they deal with different themes than The Valcarion Series. Then I have something closer to historical fiction, set in the real world with a twist. It’s a story based off of my college years with some details changed, and it has some really fun elements and some pretty raw emotion and (hopefully) real-world adventure aspects to it. In all of my writing, I like to use real experiences, impressions, and lessons learned from my life. Sometimes, it’s very difficult to straight up write about yourself, but if you can remove you the author from the situation and treat yourself as a character in a book, then you get this really neat balance between fantastic adventure and relatable realism. New projects are always so exciting, however, self-published authors can’t forget about their previously published books, which still need regular promotion. As a self-published author, do you have any book promotion tips for other indie authors? 1) Get yourself a nice, sleek, modern website. If you can make the site, great. If you need to hire someone, that’s fine, too. I don’t like spending money, but a good website is a must. Fans need a place to go to in order to learn about you and your writing. 2) Network network network. Search YouTube, FaceBook, Instagram, and other sites for people who would be good to work alongside. Find people who review your book genre, reading enthusiasts, book clubs, and offer your time and effort to further their content. That way, it’s a win-win. 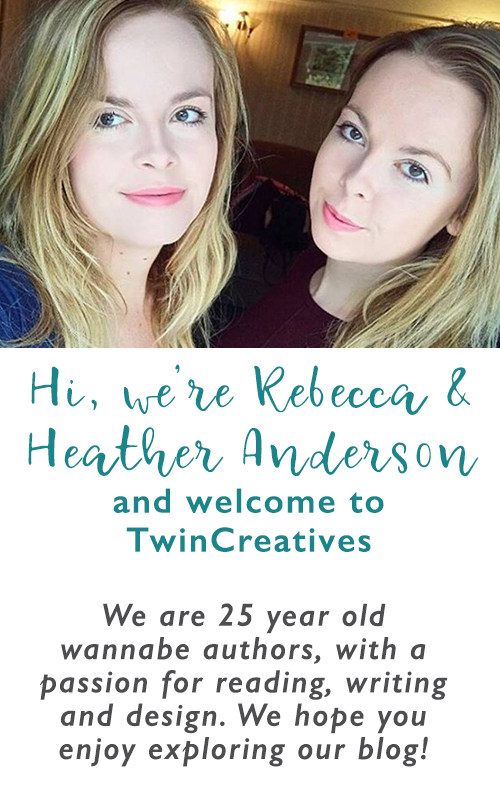 That’s how I found Twin Creatives in the first place, so it works! And finally, what advice would you give to writers beginning their writing journey? Don’t quit! Remember your first love, so to speak. Remember the excitement you had for whatever it is that you want to write about, whether fiction or non-fiction. Try to share that with people, even when you yourself no longer feel it. Successful writing which leaves a big impact is a choice, not a feeling. You’ll grow to absolutely hate aspects of your project, because chances are, as a writer you want to write and not market, negotiate, calculate, and all that other boring yet necessary stuff. In his book, The War of Art, Steven Pressfield explains that a professional chooses to show up each day. If you were a worker at McDonald’s, you’d show up each day and flip burgers for your 8-hour shift, because that was what you had professionally agreed to. Similarly, as a writer, you have to choose to show up each day and do whatever is necessary to further your craft. Quite honestly, I’m still working on that! But it is so important – perseverance is what separates people who dream about success from people who are successful. Some inspiring words there. Thanks again for answering our questions, we’ve had a great time learning about you and your writing and we’re sure your advice will help and inspire other writers. Good luck with everything! Luke Edison is a twenty-five year-old author who resides in southern New Jersey, where he grew up alongside four siblings in a home that was never lacking adventure. During his sophomore year of high school Luke began writing a story that he had mapped out in his mind several years earlier, Valcarion: Sacrifices, as the first book of The Valcarion Series. Though Luke enjoys multiple art forms such as pencil sketches, song writing, and acting, his love for story telling is his most prominent and well-favored artistic interest. When not writing or studying as a college student, Luke enjoys activities such as terrain-park skiing, wakeboarding, surfing, camping, and hiking.